Setup Your Online WooCommerce Store in Minutes! MilesWeb team will help you to get your WooCommerce store online in no time. Our best WooCommerce hosting packages comes with preconfigured WordPress and WooCommerce. 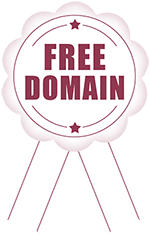 Every client gets a free private SSL certificate for the WooCommerce store with the option to add dedicated IP at an additional cost. Our WooCommerce shared hosting servers in India, UK and US are 100% optimized for running online stores. Now all you have to do is login and start building your store. Why Choose MilesWeb for your WooCommerce Store? WooCommerce’s power and extensive features makes it resource intensive, our servers are optimized to ensure the swift and efficient functioning of your store. WooCommerce is completely free to install and you can install it as many times as you wish, at no additional cost. MilesWeb provides you with your desired hosting package with free WooCommerce installation. Worried about the data migration in changing WooCommerce hosts? No problem — we’ll take complete responsibility of migrating your data from your existing provider, remove bugs and optimize your site for the best and fast performance from day one. WooCommerce Hosting at just $1.11/mo.